If there is one story line that horror authors love to tell it is the one about the dangers of Scientific Hubris. Part of this is that the stories pretty much write themselves. In the case of the Lazarus Effect, the scientists in question are trying to conquer death. After they succeed in resurrecting a dog, they lose their research to Big Pharma. So they break in to attempt to recreate the success and one of the scientists (Olivia Wilde) is accidentally killed. We can all see where this is going. Upon being returned to life, her behavior becomes creepier and creepier and then progressively more violent. The turn is quite quick, it happens overnight. The film is visually interesting, but the philosophical questions are treated in a way that feels pretty pedestrian. There is the scientist who has remnants of her religious upbringing causing her to wonder if what they are doing is very wrong (Wilde) and the scientist who thinks there is no spiritual afterlife, so only sees the potential (Mark Duplass). The film never really asks big questions, and it never really addresses what it is that Zoe (Wilde) has become, or what her goal or purpose is, other than to be mean and cause mayhem. 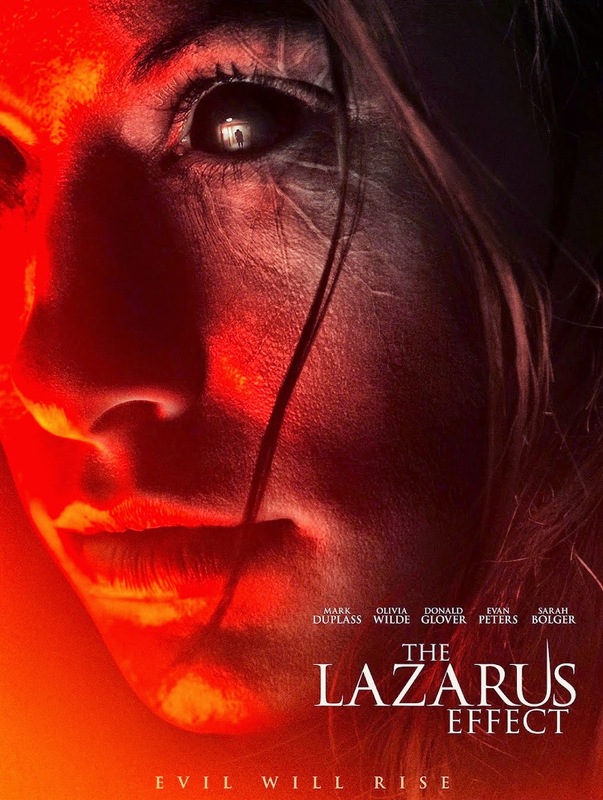 The Lazarus Effect is an interesting idea that seems lazily executed.